Sofia Lindvall was born and raised in Harads, Sweden (population: ~600), just 60 kilometers south of the Arctic Circle. 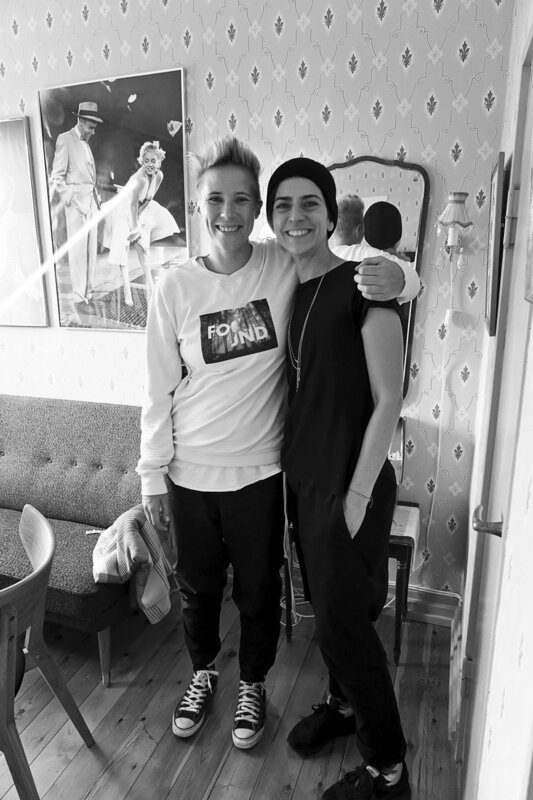 She is a trained stunt person and daughter to Kent Lindvall and Britta Jonsson-Lindvall, the founders of the TreeHotel. The TreeHotel is a collection of 7 unique tree houses, designed by Scandanavia’s leading architects, where guests can sleep 4 to 6 meters up in the trees and commune with nature in a modern, comfortable manner. In the middle of untouched Swedish forest, Samantha Paige gathered with Sofia to hear the story behind the TreeHotel and about the love of nature that inspired her family to create this magical place. Honoring and embracing nature is the key to the whole TreeHotel experience; incredibly, no trees were cut during its construction. Sofia shares about growing up in a small town in a time of globalization and urbanization, why she left for a bigger city and what motivated her to return to Harads after one year. This conversation highlights the beauty of strong inter-human connections, the importance of living in harmony with our natural environment and the power of slowing down our pace in life. For more information on the Lindvall family and the TreeHotel, please visit treehotel.se.